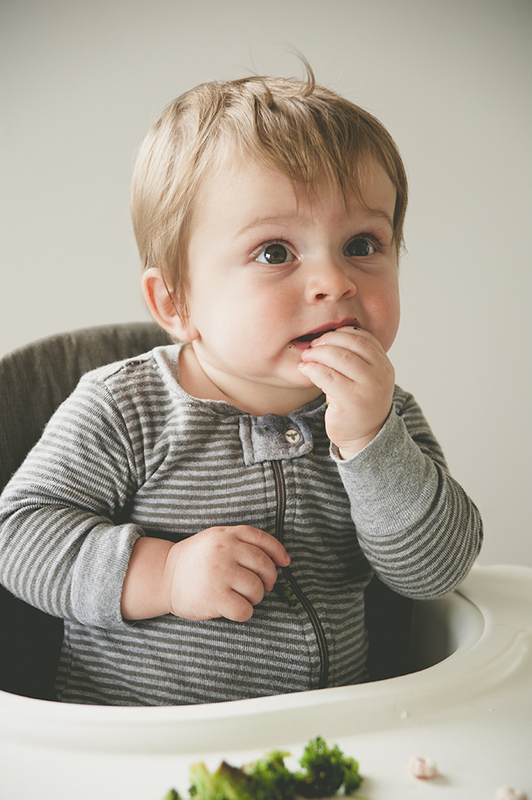 We introduced James to solids when his first teeth came in, at about 5 months. He really didn’t know what to make of it. Dinner was usually a half hour of me trying to get him to open his mouth for a bite. He wasn’t interested. Finally, I put his spoon down in frustration and said, “Fine, you do it!” And just like that, James grabbed the spoon and popped it in his mouth. Sure, it was facing the wrong direction, and he spilled food all over his belly, but the thought was still there. 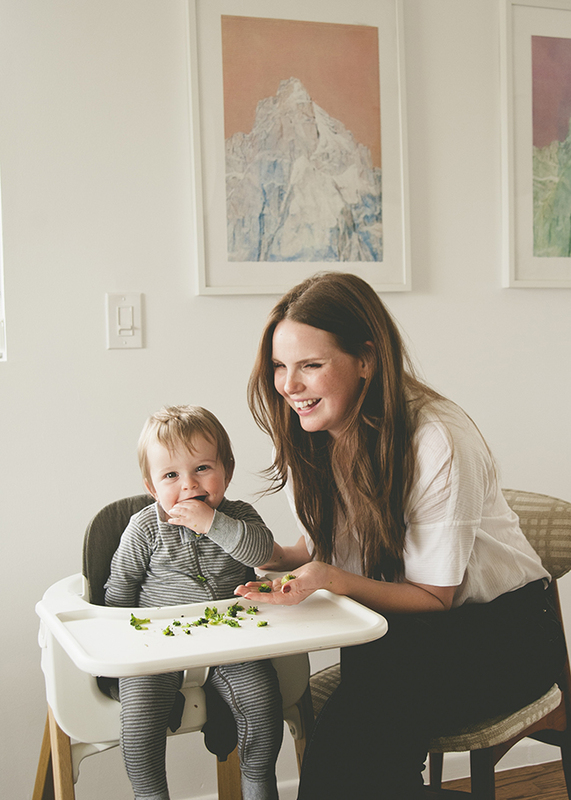 James has been doing “Baby Led Weaning” ever since. The concept is pretty simple – he feeds himself. It’s meant to help him develop curiosity and motor skills, but honestly, it’s just so much easier for us. I chop up whatever we’re eating (I season our portions after serving James his), and put it on his tray. It’s been great eating as a family because it’s made all of us a bit healthier. I’m making sure we have plenty of lean protein, vegetables, and good fats in every meal. James does this hilarious lip smacking noise when he’s really enjoying something, and will let out a bear growl if it’s extra delicious. 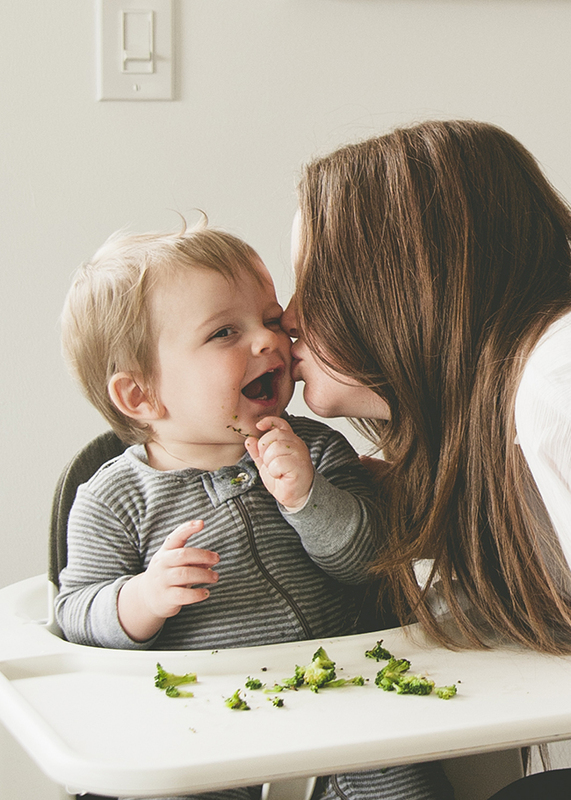 So far, he’s a savory guy – he loves crispy seaweed, broccoli, and avocado. I gave him a little mac and cheese the other day and I think it might be his favorite, just like mom. He practically shouted at me when I took the bowl away. James is currently doing a combination of formula and solid food. My milk supply dried up just around the 8 month mark, when James’s 8 teeth came in. 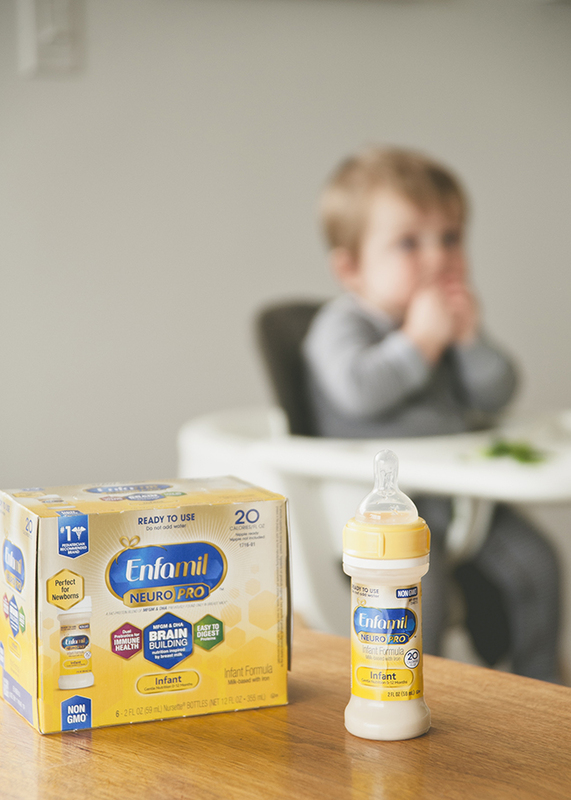 He’s now eating three meals a day, and about 4 bottles of Enfamil Neuropro between meals and just before bedtime. 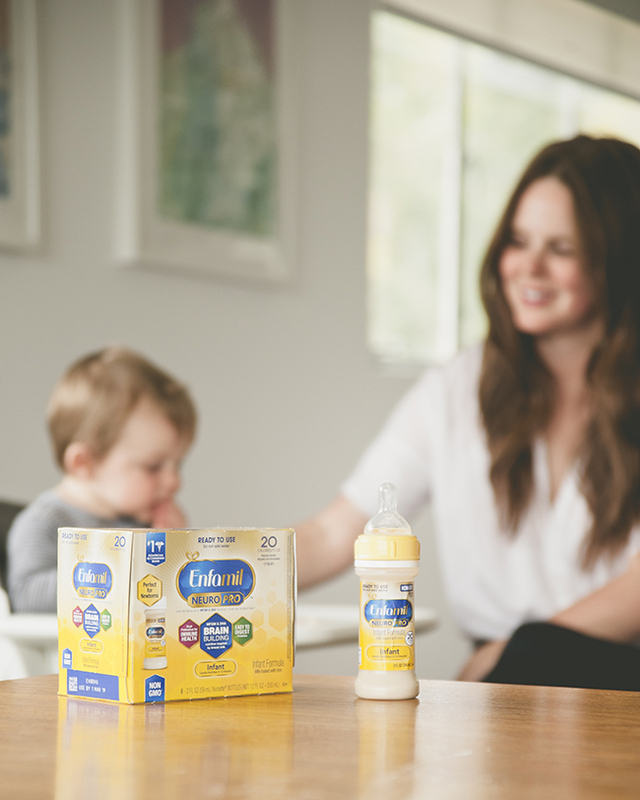 NeuroPro has brain-building benefits similar to breast milk. * It’s important to me to know that everything James is eating is supporting his body and mind. Between watching him graduate from “lobster claw” to actually using a spoon, and games of peek-a-boo becoming hide-and-seek, it’s been crazy seeing how quickly James is developing. My husband and I joke that he’s like a new baby every two weeks – he’ll even need his first hair cut soon! This first year has been such a big journey, watching James hit his milestones and grow into our special little bear. Meal time might have gotten more complicated, but it’s so fun getting to eat together, as a family.